These innovative technologies in the hands of highly skilled physicians put Erlanger at the forefront of cancer treatment in our region. As a major academic health system, we are continuously advancing new technologies and offering our patients more clinical trials. 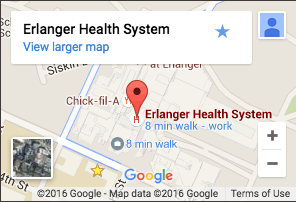 It’s one the reasons why Erlanger has been named an Academic Comprehensive Cancer Center by the American College of Surgeons.